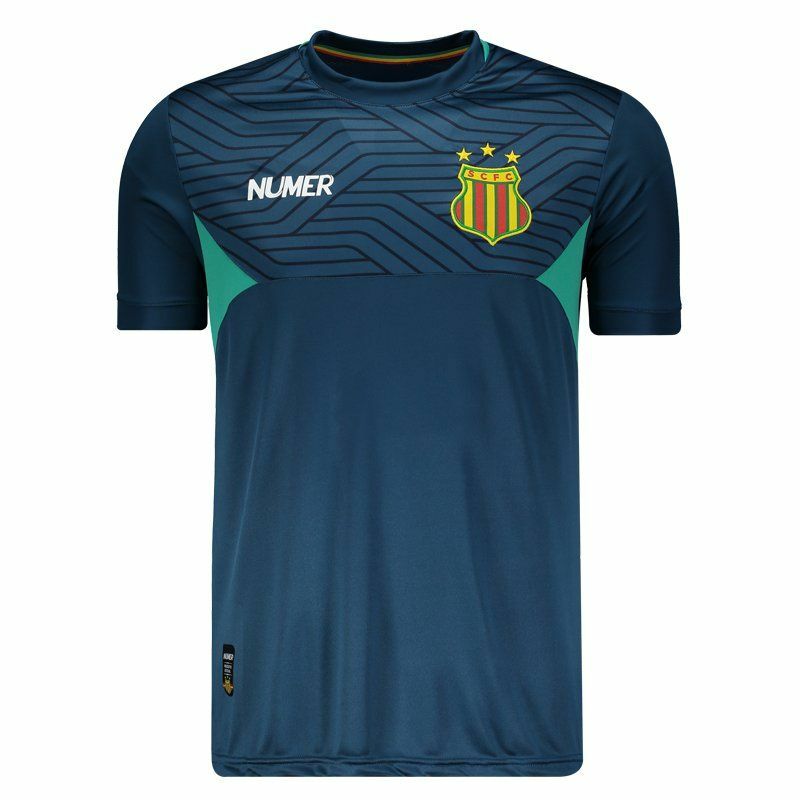 Produced by Numer, the Sampaio Corrêa Travel shirt for 2017 is the right choice for team fanatics to use in games and on a day-to-day basis. More info. 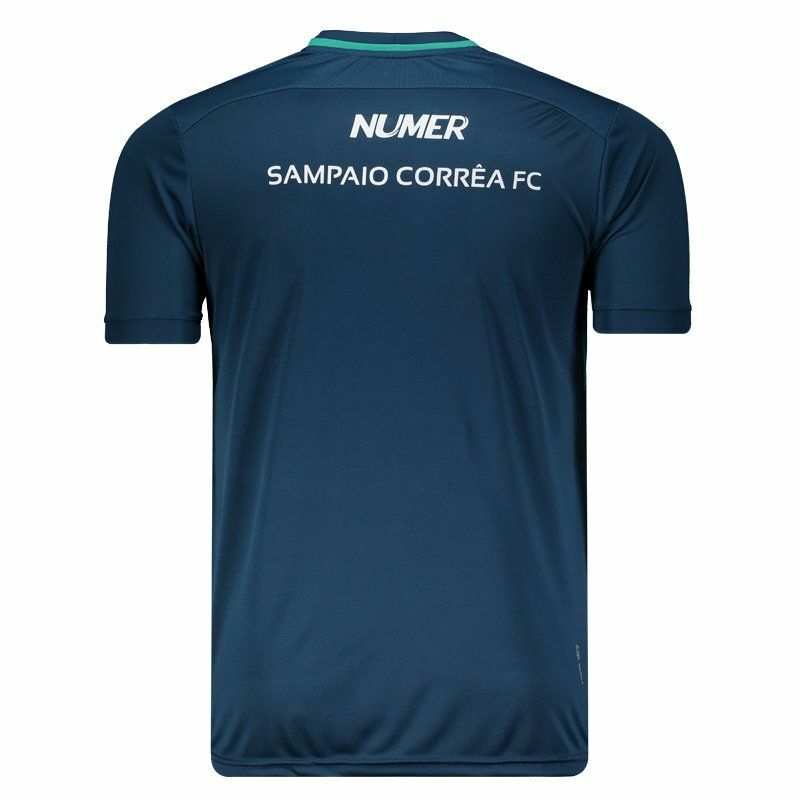 Produced by Numer, the Sampaio Corrêa Travel shirt for 2017 is the right choice for team fanatics to use in games and on a day-to-day basis. 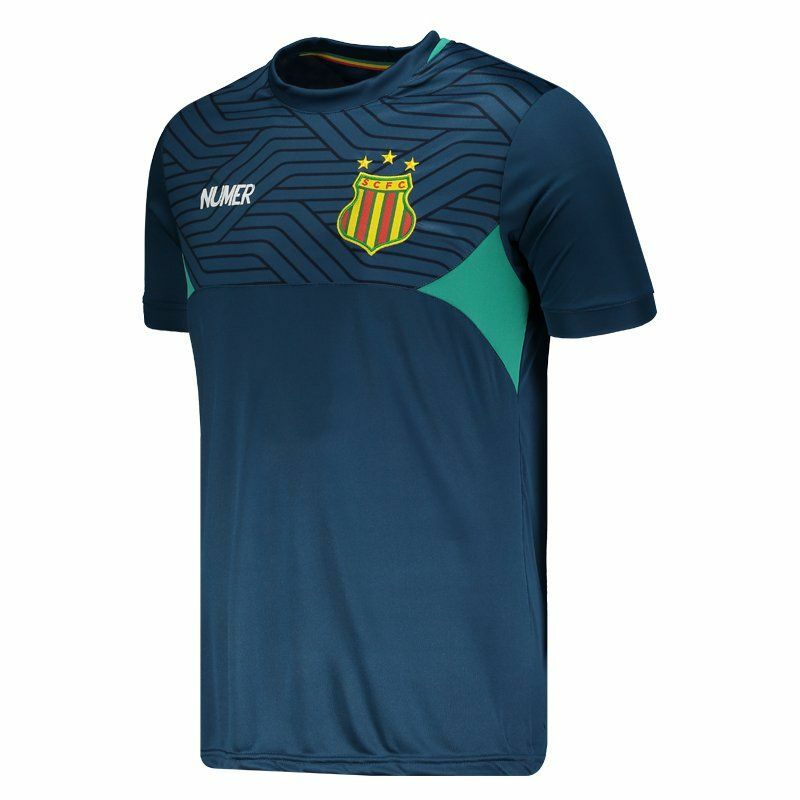 The piece is made of lightweight polyester and features New Dry® technology, which provides lightweight, comfortable fabric and provides high sweat absorption from the fan body, keeping it dry and at a stable temperature. Its design is predominantly petroleum blue with print in navy blue and green water. 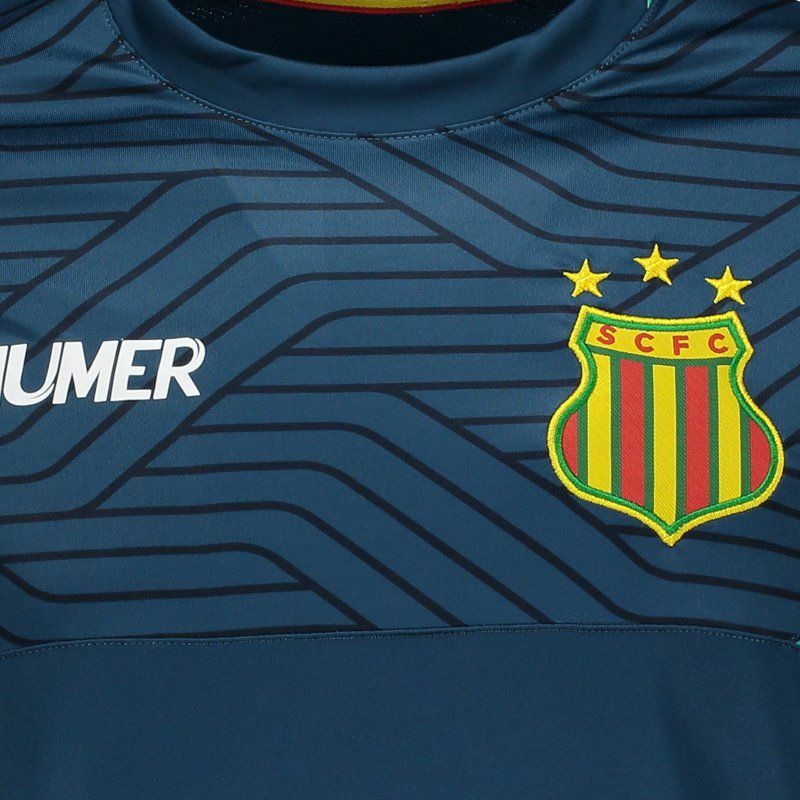 There is also the club badge embroidered on the chest, as well as the logo of the imprinted brand. Finally, the crew neck collar and short sleeves complement the details.